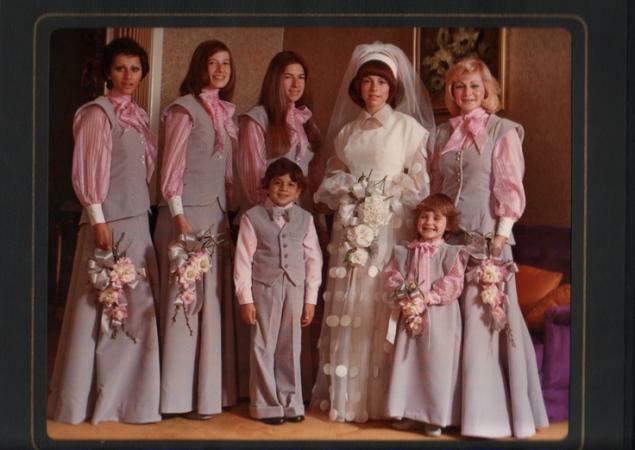 Even the most decisive of brides struggle with the choice of the dress for their bridesmaids. 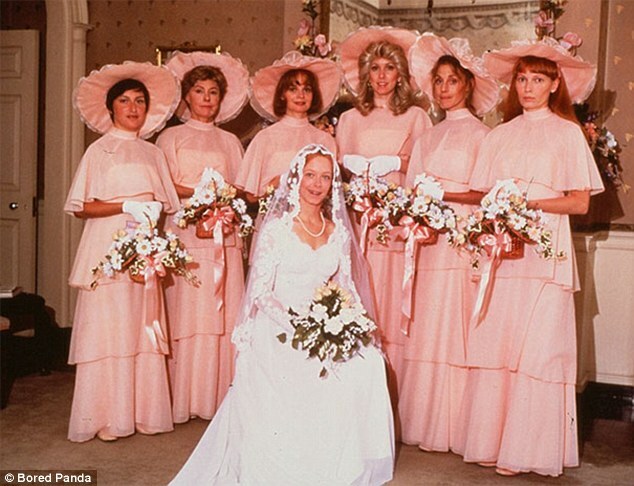 A bridesmaid’s dress needs to be beautiful, but it must not be such that the bridesmaid outshines the bride. 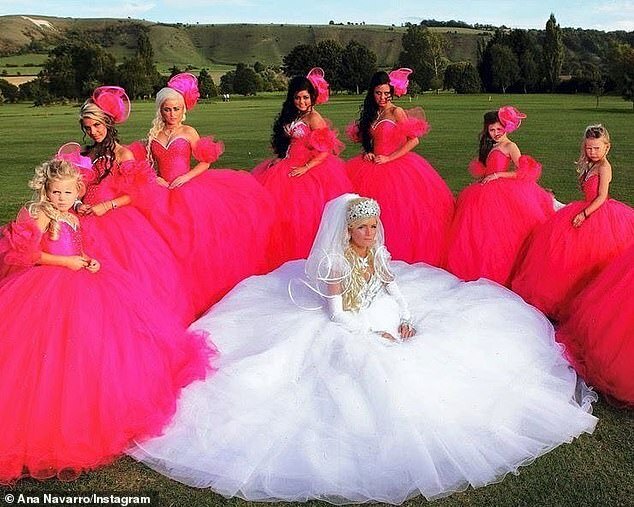 Some brides absolutely lose all sense of fashion when it comes to the selection of their bridesmaids’ dress, and they end up selecting horrific colors and designs for their bridesmaids’ dresses. 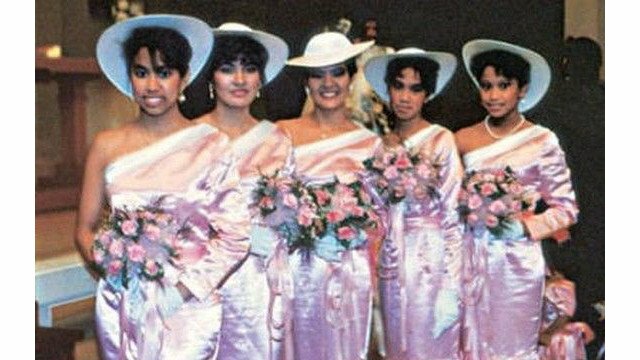 We admire the courage of the bridesmaids for showing up in such nightmare dresses to support their brides. 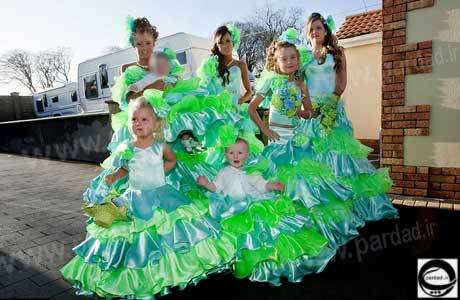 In this post we have listed up a hilarious collection of some of the worst bridesmaid dresses found online. 2 Its just a color that is changed rest is same. 3 The bridesmaid are Elsa's fan. 4 That's a very bright looking contrast maids. 5 Well I guess bride got pretty late to find her true love. 6 Why do everyone looks same. 8 Its more of a Christmas costume. 9 I guess it was autumn. 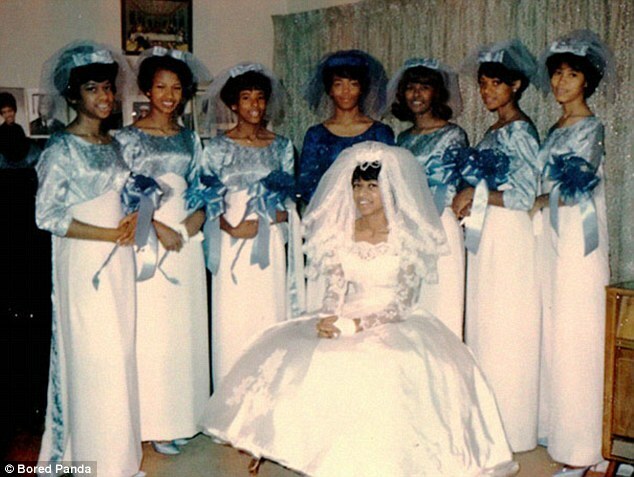 10 The old school Maids. 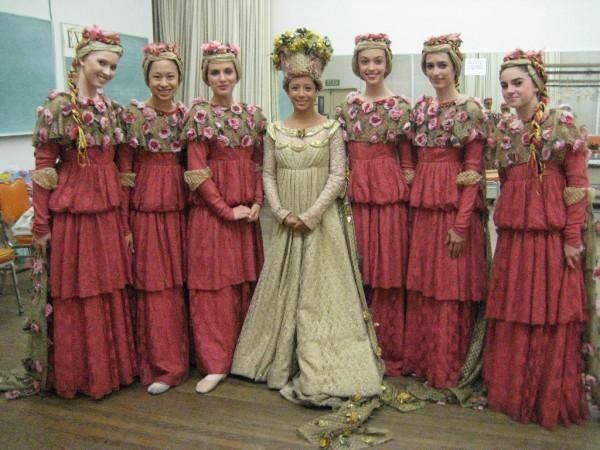 11 The doddle bride and her maids. 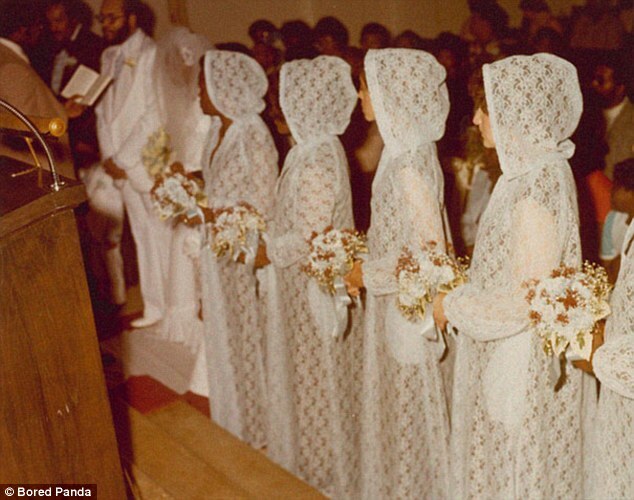 14 The rainbows brides . 15 Is that a spring dress ? 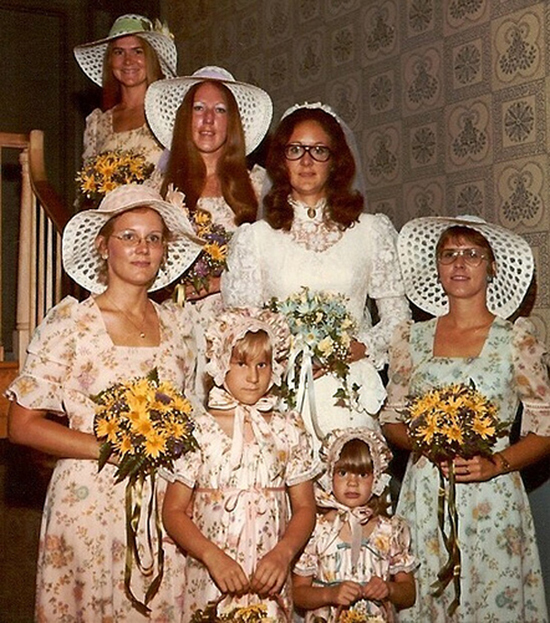 16 When all the generation are in a one photo for a bride maid. 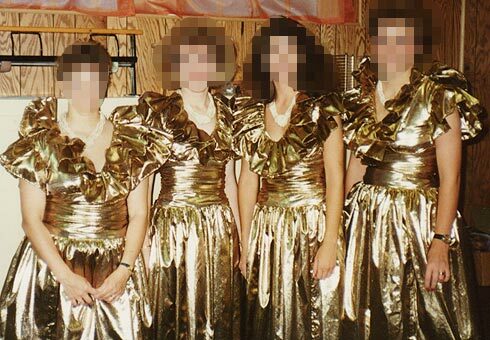 17 Why would someone wear shiny golden on a wedding. 18 Smile from that maid explains a lot. 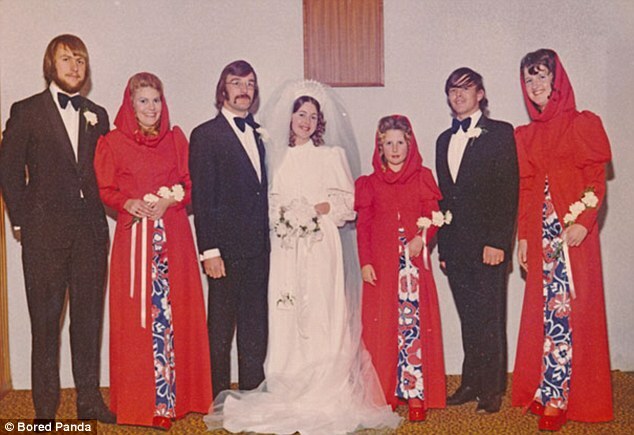 19 When you're a going to your wedding plus to a disco party. 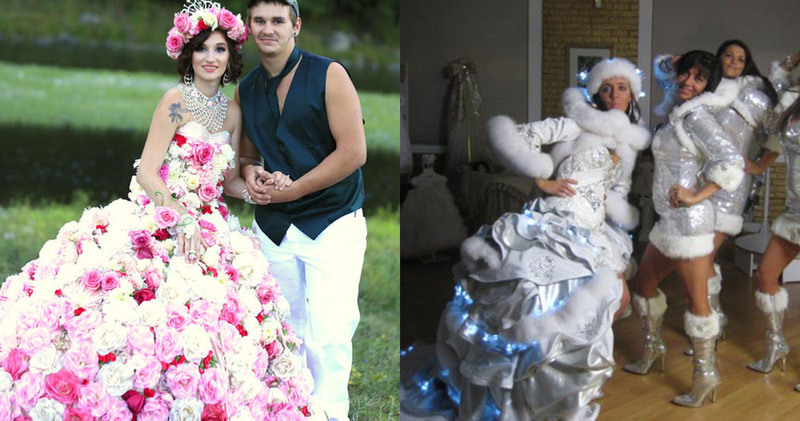 20 That maid's costume will surely help in wedding. 22 That Massive Bow tie taking a lot of attention. 23 Who's the bride ? 24 The vikings Maids . 25 when the wedding is on Christmas. 26 when your bride maids are from different planet. 27 When you are late for a job but you're a bride maid at the same time. 28 No idea how did the photographer took that photo. 29 That moment when everyone jumps in for a bridal shower. 30 She wanted the bow at that place. 31 When your crew is all set to rock.